le chaudron de vulcain – June 28 , 2016. EN. Kilauea , Masaya , Nevado Del Huila . Home / blog georges Vitton / June 28 , 2016. EN. Kilauea , Masaya , Nevado Del Huila . 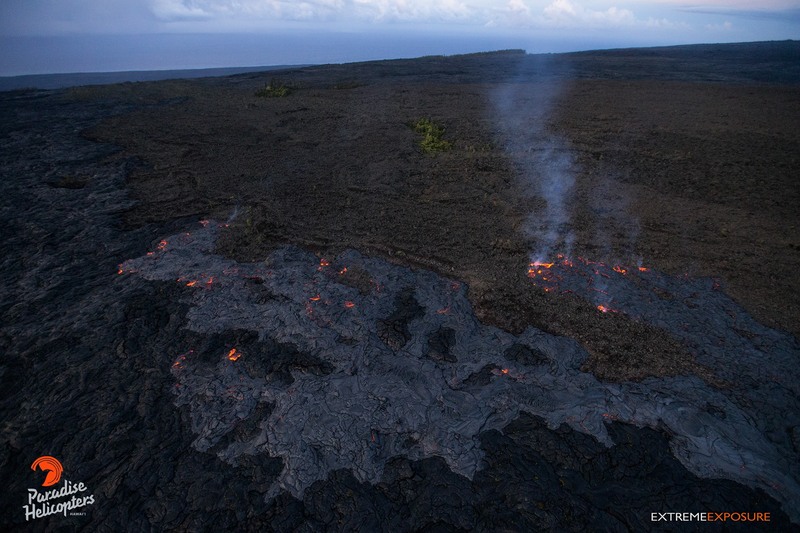 Eruptions continue at Kilauea Volcano’s summit and East Rift Zone. The lava flow to the southeast of Pu’u’O’o continues to spread and advance, still posing no threat to nearby communities. The lava lake at Halema’uma’u Crater continues to circulate and spatter, and the lake level has been relatively steady over the past day. Low rates of seismicity are observed across the volcano, and long-term deformation trends show continued inflation beneath the summit and uppermost Southwest Rift Zone. Gentle inflationary tilt continues. The summit lava lake at Halema’uma’u continues to circulate and spatter. This morning, the lake surface is roughly 27 m (~90 ft) below the adjacent crater floor, and spattering in the lake was visible from HVO. Low rates of seismicity in the summit caldera region are noted, with minor fluctuations in seismic tremor related to variations in lava lake circulation and spattering. Sulfur dioxide emissions from the summit vent over the past week ranged from 3,500 to 7,000 metric tons/day. HVO webcams show several incandescent vents on the floor of Pu’u’O’o crater, as usual. Tilt has been affected by rainfall over the past day. There are no significant changes in seismic activity at Pu’u’O’o. Sulfur dioxide emission rate from all East Rift Zone vents when last measured on June 22 was about 350 metric tons/day. 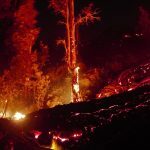 The active lava flow southeast of Pu’u’O’o continues to advance and spread. A satellite image from Friday, June 24, showed that the flow was 5.2 km (3.2 miles) long, and a small area of the flow front had entered the northern portion of the abandoned Royal Gardens subdivision. During last week the flow front advanced at a rate of roughly 100 m per day (330 ft per day). Bright incandescence is visible in the overnight webcam views of the active lava flow field, marking lava tube skylights and scattered breakouts near the flow front. This map shows recent changes to Kilauea’s active East Rift Zone lava flow field. The areas covered by the recent breakouts at Pu’u’O’o as of June 16 are shown in pink, while widening and advancement of the active flow as mapped on June 23 is shown in red. The area covered by the inactive June 27th flow is shown in orange. Pu’u’O’o lava flows erupted prior to June 27, 2014, are shown in gray. 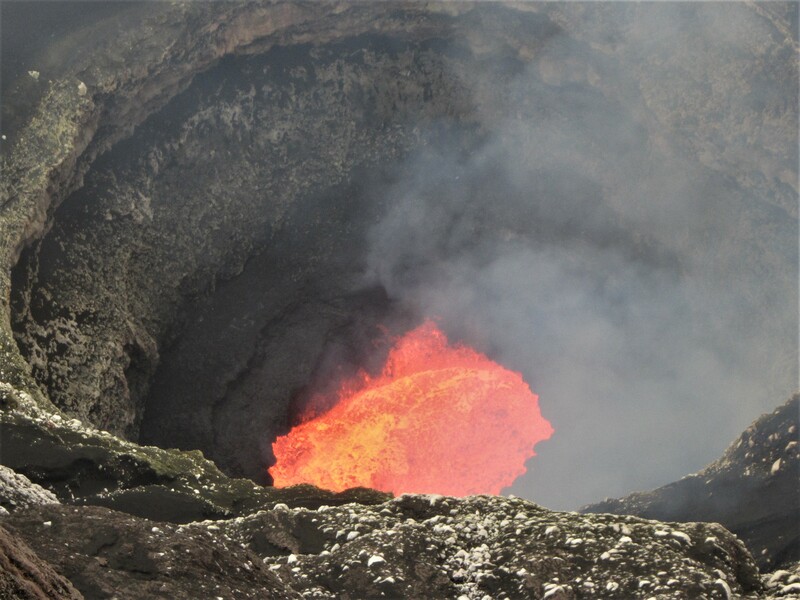 Experts from the United States and Nicaragua began a study last Monday, on the behavior of a lava lake that formed in the main crater of the Masaya volcano, located 23 kilometers southeast of Managua. 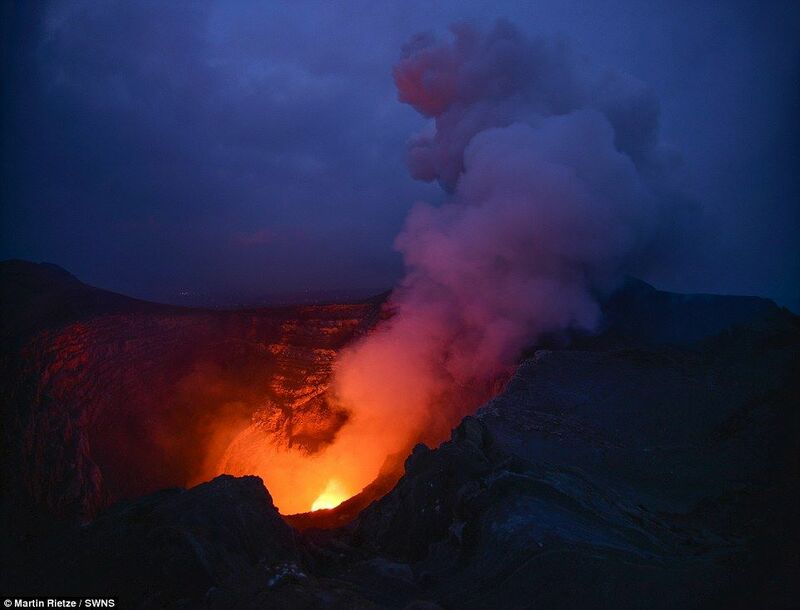 « The Masaya volcano maintains its lava lake and from today we begin a series of studies of the dynamics of circulation pattern of it, » said volcanologist state Nicaragua Institute of Territorial Studies (INETER), Armando Saballos told reporters. 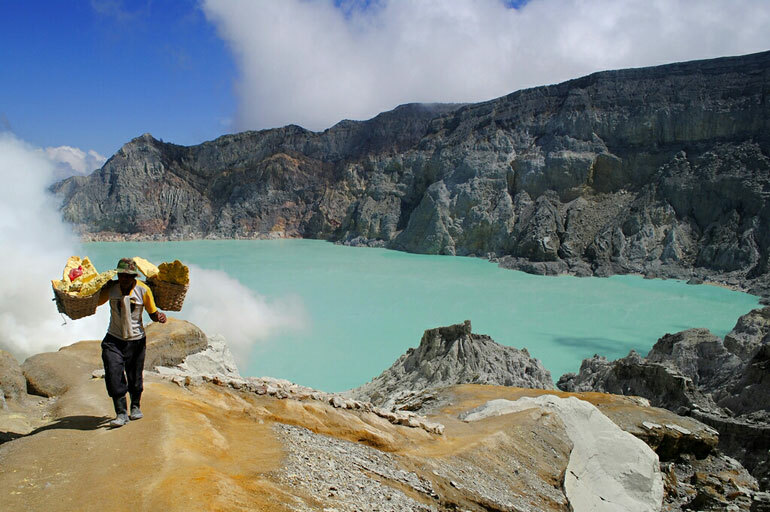 Although volcanoes tend to have a magmatic chamber therein, the presence of a lava lake exposed on the surface is not very common, experts say. 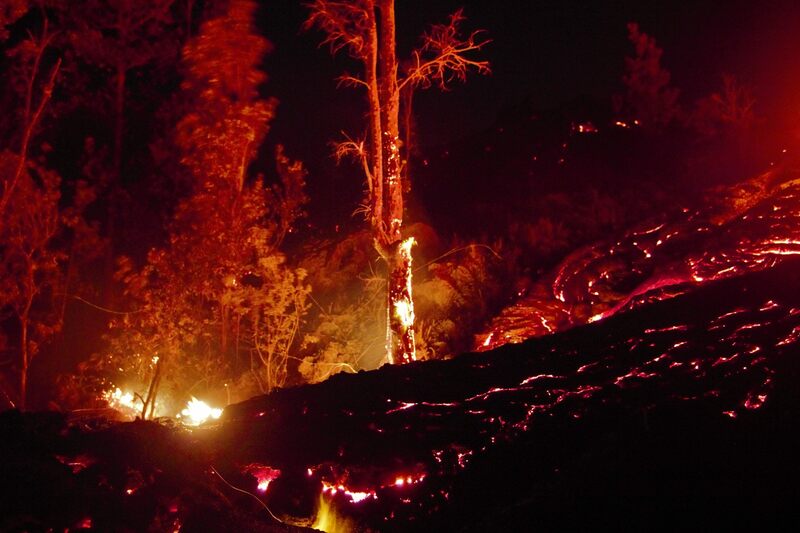 « We want to take this opportunity to study in more detail the phenomenon of our lake of lava, » said Saballos. 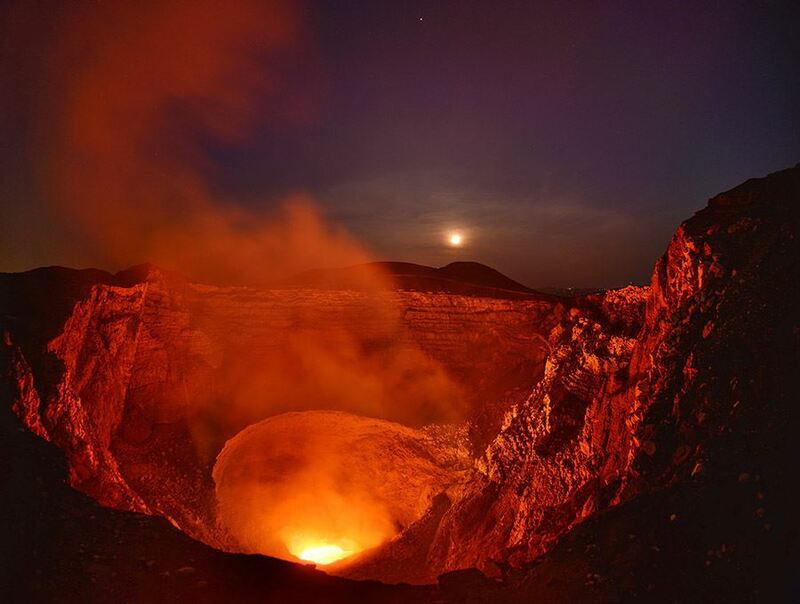 The lava lake appeared amid an increase in the activity of the Masaya volcano last December, which was already among the most active in Nicaragua and has been attractive for thousands of tourists. The nicarag enses experts involved in the investigation belong to INETER, while Americans are from Columbia University, according to official information. The duration of the investigation was not disclosed, although the INETER promised to publish the results once the study is complete. Masaya is one of the seven most active volcanoes in Nicaragua, and since 1520 has recorded at least 18 different activities, including volcanic eruptions in 1772 and 1820, according to official information. Photos : Crédit Martin Rietze . Amarillo activity level or (III): changes in the behavior of volcanic activity. During the period, it was recorded a total of 103 seismic events, of which 49 were related to fracturing processes of the rock (type VT) and 54 with fluid dynamics in volcanic conduits. Of these, 51 were classified as long-period events (type LP), one (1) as hybrid and two (2) as pulses of low energy Volcanic Tremor (TR). During the week, it was possible to obtain images of web cameras from Caloto, Tafxnú, Maravillas, La Palma and Verdun, in which a column of white steam was observed. On June 21, a mobile flow measurement of SO2 was made, between the cities of Popayan (Cauca) and Mondomo (Cauca). 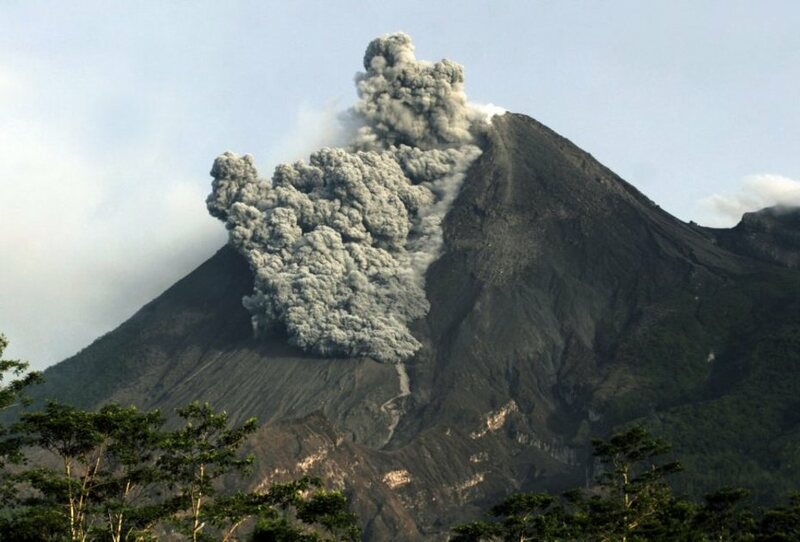 The emission was calculated at 691t / day, with a dispersion to the northwest side of Nevado del Huila volcano. 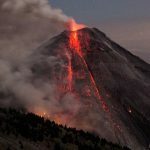 Sensors for basic techniques of deformation , of magnetic fields and acoustic sensors, have registered no changes associated with volcanic activity. 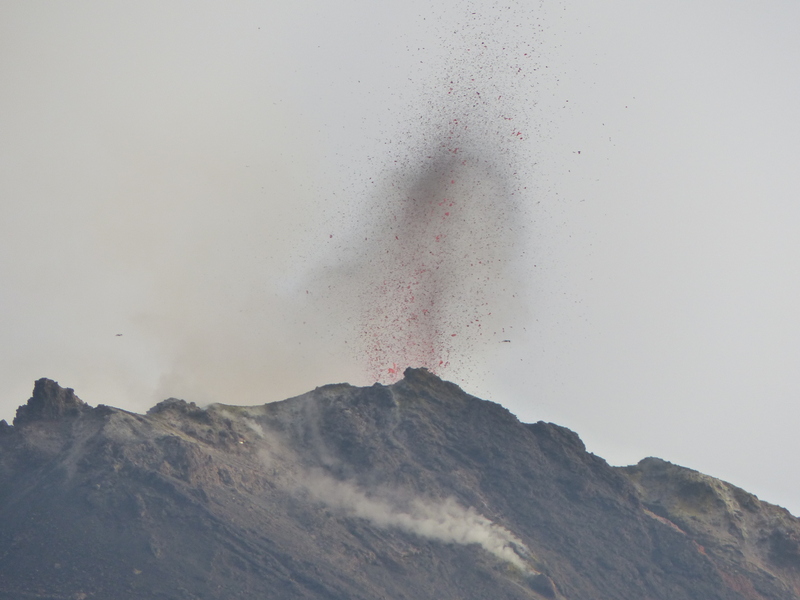 Therefore, it is concluded that during the evaluation period, the volcano continued to show stable behavior. 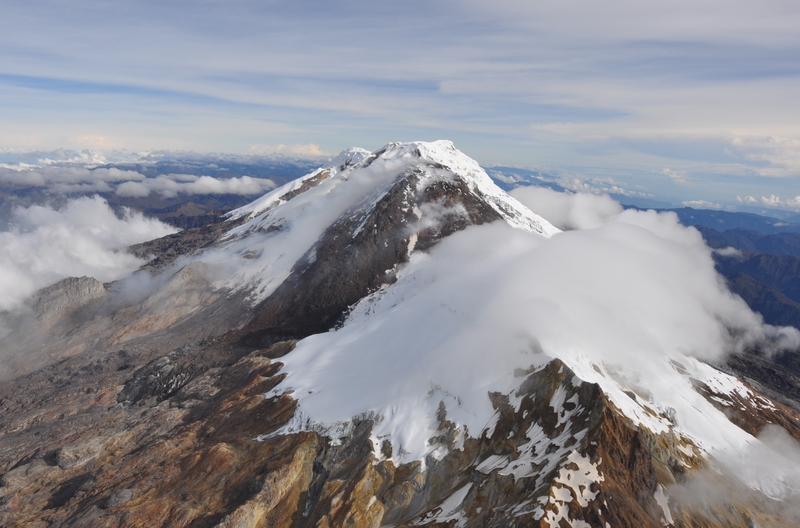 The Colombian Geological Service continues to be alert and report timely to the changes that may occur. 29/06/2016. FR. Ubinas , Sabancaya , Colima , Nevado Del Ruiz.